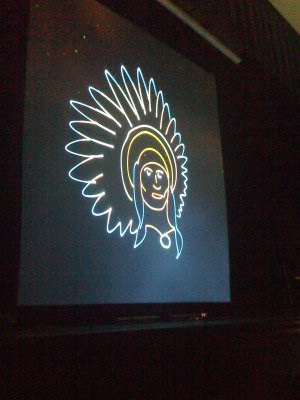 LASER Indian created just for Santa Fe I.S.D. The Prismatic LASER Light Show was fantastic. A total of over 4000 people watched as the magic of lights moving to sound filled FBI Auditorium on the week of March 9th. A nice way to begin a Spring Break!